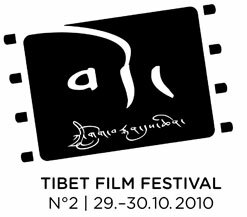 Filming for Tibet has launched today a website announcing the second Tibet Film Festival to take place in Zurich, Switzerland, on 29 and 30 October 2010. The festival is committed to follow its idea to present contemporary Tibetan films produced in exile and inside Tibet. A five-minute short film competition on the theme of “identity” will be one of the festival’s highlights. The festival program includes feature films, new documentaries and experimental films produced by Tibetans in the last two years. Major exile productions such as “Open Road” will be shown. The festival board is trying hard to get some films from inside Tibet. Suggestions for interesting films are most welcome and can be still included in the program. This year’s festival special focus lies on short films by Tibetans. The organizers call on established Tibetan filmmaker as well as newcomers to contribute a five-minute short film to the second Tibet Film Festival. These five-minute-films should be about “identity”. We are excited to receive a whole variety of films from professional, semi-professional and new film enthusiasts. Filming for Tibet established the Tibet Film Festival in cooperation with Tibetan Youth Association in Europe (TYAE). The event is dedicated to the Tibetan filmmaker Dhondup Wangchen. He has been sentenced to six years in prison on December 28th, 2009.